Its a Dual Clutch Transmission. Notice the absence of the shift lever on the bar and shifter peg. Has 2 ways of operating, manual or automatic. Auto mode you just twist and go, manual you can paddle shift up and down. Same concept in the Africa Twin, VFR 1200, and CTX. I had a lot of reservations as a police motor officer who relies on the clutch for precise maneuvers, but I also think outside the box and like new technology. Then there is the attitudes of others if that weighs on your mind (scooter, silverwing, etc), I tend to go my own way and not with the herd. Long story short had I taken it for a test ride I probably would have chosen the Manual 6 speed but I guess that was a blessing in disguise as both my wife and I really have warmed up to it. She loves the smooth ride that the DCT affords. stated this evening she would not want to go back to a manual. It takes some saddle time to feel it out and know whats gonna happen when. When I got home from the dealer about 275 miles I feared I had made a mistake, but now I look forward to more riding and the fun. Nice TJ and WingCon!! Seems DCT and blue color is the way to go! Giving it another year on my C14 and letting the bugs and dust settle from the new wings before switching. Looking forward to more reports and farkle upgrades on the new steed! Sounds like Honda just announced the 2019 Wing models, new color added "Darkness Black Metallic", some software updates as well but nothing too major that I've heard so far. My local dealer has their 2018 models marked down already, $4k off the one I almost bought in the Spring. Would you have to thin the herd to fit a Wing in the garage? Wow that black color and shape makes it look like a Batman bike! I have no idea what I'll do DZ, I'm really enjoying the VFR and have done some trips on it just fine with only me. I'm still interested in the new Wing, but have found myself also considering something fun 4 wheeled, new to me M3 hard top convertibles can be had for about the same $ as the new Wing, given the choice I think mama would enjoy trips in a convertible more than the Wing. If I bought the Wing it's main purpose would be 2up touring, hence my pondering... The good thing is heading into Winter gives me plenty o time to think about it. I'm also still intrigued about K1600GTL... Choices are great. Just some food for thought, I've rented Beemers in Alaska and South America five times. Every time, either myself or someone I was riding with, had electrical or computer problems on a Beemer. Including one intermittent total electrical failure. Maybe just bad luck, but maybe not....... Also, I've met two people that had the main fuse blow on new Beemers shortly after taking delivery. I purchased the same DCT model. At first it was a bit rough shifting but after the Initialization procedure it feels much nicer! Grats TJ, she's beautiful! Keep us posted on your likes and dislikes as you put some miles on her! Farkles=. Fog lights, homelink, acc socket, acc cord, usb cord, armrests, trunk organizer, gas and storage vinyl pocket add-ons, headlight protector, F4 windscreen, trunk rack and LED stoplight. Better give yourself A LOT of time to do this. Very invasive procedure. Almost all plastic removed during the process except for the nose. Thanks for the short review about passenger comfort. Had seen several videos where the passenger complained of buffeting and wasn't sure if the passenger didn't have experience as a passenger or if the redesigned Wing exposed the passenger more. Hope yo get hundreds of thousands of miles with smiles. We looked at one yesterday in Johnson City TN. I'm seriously thinking this will be my next bike, in the DCT that I laughed at so much when I bought mmy ctx700. I didn't take it for a ride but I had it in walk mode around the showroom. I was amazed at the balance of the bike and will be looking to test ride a demo sometime soon. I gave the new Wing a look. I still think the K16 is the better bike for me if I were to decide to go that route again. More engine, lighter handling, more sporting. Actually the new RT with the new 1250 engine would probably be my first choice. Lighter still, and plenty of poke with 137hp and around 100 ft lb of torque. The thing I did not like about my K16 was how big and heavy it was, which is why I went to a C14. Not a bunch lighter, but enough to feel it, and physically smaller. Maybe I'm just not a large touring bike kind of guy. Smaller seems to work better for me. That said, if cranking out interstate is a big part of the riding scope, the Wing is probably better suited for that scope than any other bike made. Hopefully that wasn't you ZG. Just ordered an F4 20" (Tour standard height.) 5" wider total, clear, with recurve. Nasty T-storm finishing up our 11 day trip over Snoqualmie Pass made the decision. My '03 had one and it really does shed rain well. Good point. Hadn't thought about that. Besides, no one likes me anyway. I got scared just watching the video! inches from death. I just purchased a New BMW K1600 GTL exclusive. After spending 11 days in Italy on a BMW I had to have one, the plane might as well as landed at the BMW dealer. I did look at the wing, dealer had a few in stock and were trying to deal. Wife didn't like the bike and I found it had too much crap on board...I dont need apple carplay. Good luck on your decision, they are all good bikes and have their purposes. Not mine, I saw it over on another forum, I do like it though! Many years ago a touring/race track friend sold off his BrokeMYWallet bikes and went to his 1st GoldWing, pulling a trailer pop up camper. It was the s***, and we all laughed at him as he would roll out the astro-turf carpeting entrance into his abode. Then, he'd dig out his bottle of Gentleman Jack and come join us at the fire pit. Many years ago working in a GM factory we would have "diagonal slice" meetings for hourly/salary interface. Toyota was eating our lunch, and everybody knew it. Still happening today. Honda/Kawi/Yam are eating H-D and BMW's lunch. It is good to see Honda and Gold Wings still dominating while the "big 3" of moto world continue to subsist on their government contracts. 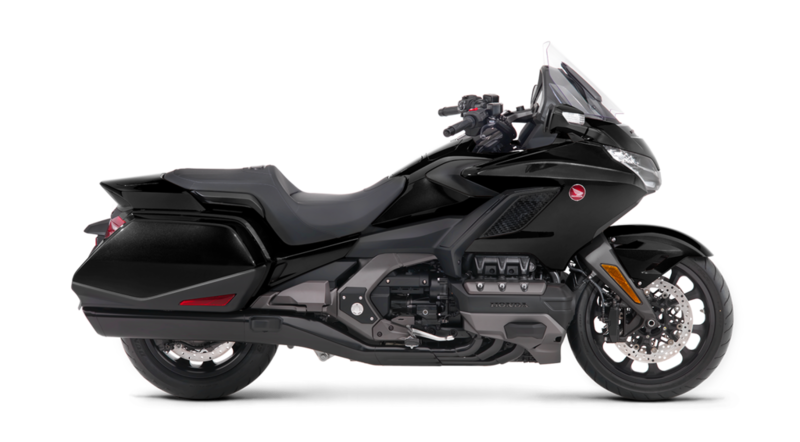 Soon enough, we'll be picking out the GW ultra light jet bikes for retirement touring!